These Gorilla lug nuts are wheel and vehicle specific. 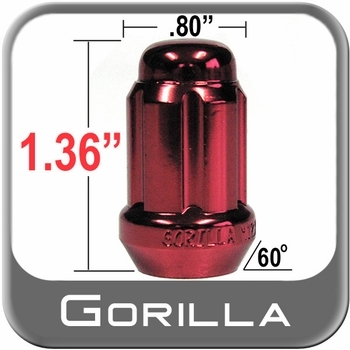 You will appreciate the long lasting quality of the Gorilla Red Small Diameter Tuner lug nuts. Easy replacement comes with the Gorilla Red Small Diameter Tuner lug nuts. Give the finished look to your wheels with a new set of Gorilla Red Small Diameter Tuner lug nuts.